Researchers publish results of iron ocean fertilization experiment | Watts Up With That? From the Alfred Wegener Institute and the what took you so long department comes this interesting result. Carbon sequestration via algal blooms that sink to the sea floor after expiring – just add iron. An international research team has published the results of an ocean iron fertilization experiment (EIFEX) carried out in 2004 in the current issue of the scientific journal Nature. Unlike the LOHAFEX experiment carried out in 2009, EIFEX has shown that a substantial proportion of carbon from the induced algal bloom sank to the deep sea floor. These results, which were thoroughly analyzed before being published now, provide a valuable contribution to our better understanding of the global carbon cycle. An international team on board the research vessel Polarstern fertilized in spring 2004 (i.e. at the end of the summer season in the southern hemisphere) a part of the closed core of a stable marine eddy in the Southern Ocean with dissolved iron, which stimulated the growth of unicellular algae (phytoplankton). The team followed the development of the phytoplankton bloom for five weeks from its start to its decline phase. The maximum biomass attained by the bloom was with a peak chlorophyll stock of 286 Milligram per square metre higher than that of blooms stimulated by the previous 12 iron fertilization experiments. According to Prof. Dr. Victor Smetacek and Dr. Christine Klaas from the Alfred Wegener Institute for Polar and Marine Research in the Helmholtz Association, this was all the more remarkable because the EIFEX bloom developed in a 100 metre deep mixed layer which is much deeper than hitherto believed to be the lower limit for bloom development. The bloom was dominated by diatoms, a group of algae that require dissolved silicon to make their shells and are known to form large, slimy aggregates with high sinking rates at the end of their blooms. “We were able to prove that over 50 per cent of the plankton bloom sank below 1000 metre depth indicating that their carbon content can be stored in the deep ocean and in the underlying seafloor sediments for time scales of well over a century”, says Smetacek. These results contrast with those of the LOHAFEX experiment carried out in 2009 where diatom growth was limited by different nutrient conditions, especially the absence of dissolved silicon in the chosen eddy. Instead, the plankton bloom consisted of other types of algae which, however, have no protective shell and were eaten more easily by zooplankton. “This shows how differently communities of organisms can react to the addition of iron in the ocean”, says Dr. Christine Klaas. “We expect similarly detailed insights on the transportation of carbon between atmosphere, ocean and sea bottom from the further scientific analysis of the LOHAFEX data”, adds Prof. Dr. Wolf-Gladrow, Head of Biosciences at the Alfred Wegener Institute, who is also involved in the Nature study. “Such controlled iron fertilization experiments in the ocean enable us to test hypotheses and quantify processes that cannot be studied in laboratory experiments. The results improve our understanding of processes in the ocean relevant to climate change”, says Smetacek. “The controversy surrounding iron fertilization experiments has led to a thorough evaluation of our results before publication”, comments the marine scientist as an explanation for the long delay between the experiment to the current publication in Nature. Summary of the experiment: A patch of 150 square kilometres (circle with a diameter of 14 kilometres) within an marine eddy of the Antarctic Circumpolar Current was fertilized with seven tonnes of iron sulphate on 13/14 February 2004. This corresponds to an iron addition of one hundredth of a gramme per square metre. The resultant iron concentration of 2 nanomole per litre is similar to values measured in the wake of melting icebergs; the iron concentrations in coastal regions tend to be much higher. The input of iron in regions with high nutrient concentrations (nitrate, phosphate, silicate) and low chlorophyll content (the so-called high-nutrient / low-chlorophyll regions) stimulates the growth of plankton algae (phytoplankton). After fertilization, the development of the plankton bloom was investigated using standard oceanographic methods over a period of five weeks. From the surface water down to a depth of over 3,000 metres, chlorophyll, organic carbon, nitrogen, phosphate and other parameters were measured to follow the development, demise and sinking of the bloom and the associated export of carbon. In addition, the phytoplankton and zooplankton species and bacterial numbers and abundance were determined. The chlorophyll content rose over a period of 24 days after fertilization. Thereafter, phytoplankton aggregates formed and sank within a few days to depths of 3,700 metres. 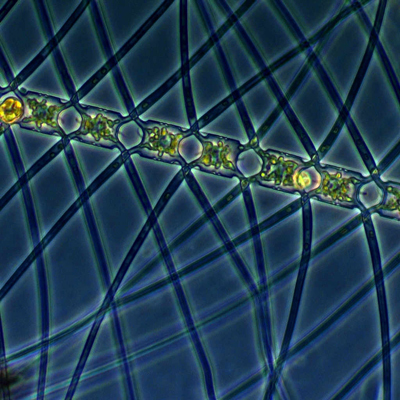 Long spines of these diatoms and mucous substances led to aggregate formation and export of the fixed carbon from the surface to the sea floor. This process was monitored for five weeks after the start of fertilisation. They can’t possibly be suggesting that dust-borne iron from the continents is a significant factor in carbon sequestration leading to ice ages… can they? I sometimes wonder if somebody slipped some LSD into my beer. I can help you with that. No. There, that was easy. Eight-and-a-half years to publish results? Eight-and-a-half YEARS? Wow – that is some ‘thorough evaluation’. Or did someone fall asleep at the wheel? But, why are they researching carbon sequestration anyway? Prolly something to do with funding…. I would also expect during a glacial period for the glacial ice on land to accumulate iron dust. When those glaciers melt, I would expect there to be a rather large pulse of iron enriched water and sediment into the oceans. This would tend, I would imagine, to suppress the initial increase in CO2 from such things as reactivation of bogs until such time as the iron content of the oceans is depleted and the atmospheric CO2 then begins to rise. 100,000 years worth of ice would surely accumulate a lot of iron, to my mind. This is all very interesting and appears to be good empirical science for a change. I was intergued by the diatoms and wounder what the conditions were in the Pre Cambrian what most of the world iron ore resources were form. I presume you didn’t read the paper. The carbon was exported as organic carbon not as carbonate. Diatoms are siliceous algae. There are several papers exploring the potential for increase dust deposition during the glaciations to fertilize the ocean and draw down CO2 (eg http://rem.sfu.ca/COPElab/Boppetal2003_paleoceanography.pdf). The effect is real, but probably not large enough to account for more than a portion of the decease in CO2 concentration during the glaciations. Iron meteorites are the largest meteorites found on earth. Strangely the largest meteorites discovered on earth have never been found with a crater. Heinrich events raft armadas of icebergs into the North Atlantic. Iron & other nutrient transport in this manner could also help explain sudden climatic shifts during glacial phases. Did they happen to mention the ideal mean level of C02, I must have missed it. How much C02 was captured by the 8 tons of Iron? I don’t see that in the link, offhand. I see they put in 7 tons of iron, but nowhere do they show how much extra CO2 absorption took place. As and engineer I would like to see the cost / materials required to gain this offset. Let’s just float that big orange hunk of iron in San Fran out and save us from the China power plants. > Eight-and-a-half years to publish results? Eight-and-a-half YEARS? Wow – that is some ‘thorough evaluation’. Or did someone fall asleep at the wheel? Maybe they had a hostile peer review. What else goes down with the diatoms to the bottom of the ocean? Silicates, Carbonates, phosphates… hummm, I guess not only carbon dioxide will get requested… could it possible to deplete the oceans enough to affect other species that need those chemicals to grow? Considering all the other nutrients required for these things to grow, have they experimented with just dumping a few hundred thousand gallons of beer into the sea? Seems that should work, too. And…this is why droughts are important. Where else do you think the iron comes from? Drought produces dry dusty soil that when subjected to strong winds and thunderstorm deluges, rides the wind and rivers to the oceans. Several years of drought driven fertilization is necessary to produce the oceanic abundance that in turn feeds the world. Long live the drought. Let’s hope it works as well as it did in the 30’s when the dust bowl worked its iron magic. The idea of some idiot Greenies running with this idea and actually altering the oceans/atmosphere at least in some locals does not give me the warm fussies. I can just see Greenpeace organizing a bunch of useful idiots to salt lots of the ocean with iron and the resulting mess. This Image comes to mind. Can we get core samples from the ocean floor to verify conjectures about iron sources and carbon sequestration over geologic time? Can we have Chaetoceros atlanticus in Italics or failing that underlined. Massive algae blooms already do horrible things to the immediate ecosystem, and I still don’t understand why anyone would actually want to induce them. I have never seen any results or indication that these sorts of things do more good than harm (at least, for anyone besides the organisms blooming). I think the results of this study highlight how little we know about the effects of phytoplankton in the global carbon cycle. Environmental extremists have always talked about how deforestation was going to contribute to global warming while ignoring the importance of the lowly phytoplankton that live in the oceans and waters of our planet. An interesting observation from this study is that the photic layer where phytoplankton live extends down to 100 meters – this may increase the importance of phytoplankton because of the increased volume of phytoplankton. The death and decay of proliferating algae tend to deplete oxygen in relatively shallow coastal waters e.g. bays, estuaries, the northern Gulf of Mexico. Mobile critters such as fish can eat and run, but less mobile bottom dwellers suffer. Algae, however, are the basis for the entire oceanic food chain, and increasing their production would increase marine productivity. The Grand Banks, for example, are prime fishing grounds because nutrients are lifted from the relatively shallow bottom to fertilize the upper waters. In his novel The Deep Range, Arthur C. Clarke described a future in which much of humanity was fed by farmed marine algae/plankton fertilized, as I recall, by artificial upwellings from the sea floor. Silicon is very common in the crust, so iron-bearing dust is likely to include silicates. Trenberth still can’t find the “missing heat” that’s supposed to be out there somewhere if the CAGW conjecture is accurate and the Keystone Kops of Klimate Kontrol are wandering around in Never-Never Land. The closer one looks, the more one realizes that some of these folk would be more profitably engaged in investigating sightings of Elvis. Interesting, I use iron sulphate to acidify my soil for blueberries, they like a Ph of 4.5-5.0 to absorb nutrients. I’m curious as to the ideal Ph for algae and diatom growth, and is it even the same? Dumping iron into the ocean to capture carbon may be misguided but dumping beer: that’s a “crime against humanity”. This looks like good research and worth doing for the basic science but I worry that it will lead to millions of tons of ore being mined and dumped in the ocean to solve a non-problem. Whilst reading it I couldn’t help thinking about the Iron Age Celts who threw votive offerings (swords, jewellery, etc.) into lakes and rivers. Will there be a Wikipedia article in 2150 about diatom patches on the ocean floor being the result of the efforts of the superstitious Information Agers to appease Mother Earth? A central plank of CAGW is Revelle’s assertion that the oceans will not be able to absorb the extra CO2 And this rests on Revelle’s calculations of the amount of mixing that occurs, which was in part based on his work on tracking radioactive fallout from bomb tests. Is this study an(other) indication that the climate scientists have underestimated the amount of ocean mixing that occurs? What was the cost and what is the benefit? Additionally, what were/are the unintended side effects. If growth of diatoms is desired, water glass (i.e., sodium silicate) could be added along with the iron. The main drawback of these fertilization experiments is that the growth of the “good” and “bad” organisms is stimulated. One possible method to produce high population of the “good” organisms is to add a “starter culture” of these along with the iron. The open ocean away from the continents and especially in the tropical waters have low levels of silcates and minerals. Since most of the sunlight falls in the tropical waters, a supertanker with starter cultures, iron, slicates and other traces minerals could sails in waters and inject these into the wake of ship to ensure good mixing. The growth pf the phytoplanton could be measured with satellites. Over fertilization could thus be prevented so as not to produce oxygen-depleted water. The route for the ship could be chosen so that the currents carry the organisms into waters where fish could consume them. A farmer adds seeds and fertilizers to grow crops in soil. Several crops suchas corn and soybeans are used to prouce feed for animals. The above is a similar system, the objective of which is to enhance growth of fish. Pointless for carbon, but makes me wonder: …. Could we ‘unstick’ these stuck jet streams by changing the color, and thus the heat absorption, of plankton? Would a sharp gradient cause enough convection of surface air to move the upper-atmosphere patterns? Gosh, you really think that the rapid sinking of biological carbon can possibly explain why the majority of the ocean is anoxic? Could it possibly be that the rate of biological carbon sinking can explain why all the models fail to simulate the rate at which CO2 is rising? Just wait until they do steady state calculation on the carbon flux downward; biology is beautiful. Not sure if this is the same experiment which was carried out in the South Atlantic to the south of South Africa as the timing seems about right. That particular iron fertilization experiment was near to a complete failure. The reason being that the iron fertilization certainly worked in enabling a massive increase in Phytoplankton which then attracted every fish from tens of kilometres or more around in a feeding frenzy on the Phytoplankton mass which in turn attracted the predators ever further up the food chain from long distances away. Interesting that there is no mention of the effect on the fish numbers in the iron fertilization area in that press release. In earlier reports, those damn fish apparently messed the whole experiment right up! Typo for “sequestered”? hummmm, unique. Peculiar. Almost cute! I see they put in 7 tons of iron, but nowhere do they show how much extra CO2 absorption took place. Yep: How much iron is required to get how much CO2? DocMartyn Gosh, you really think that the rapid sinking of biological carbon can possibly explain why the majority of the ocean is anoxic? Note the presence of oxygen from the surface to the sediments. By some form of magic or miracle, the biological molecules in the diatoms are supposed to be preserved better than Egyptian mummies, and for much longer. Wow! Incredible how even educated people are prepared to swallow such patent garbage. What a waste of iron. The tip of the geoengineering iceberg. Here. Let’s just experiment with a remote corner of ocean, in the “closed core of a stable marine eddy”. That oughta foster confidence in our experiment, just in case we create Diatomzilla and cause a catastrophic sink for that Juliar-pollutant. Plausible deniability….”what Diatomzilla?”. That stable marine eddy oughta contain it….it should just ‘sink’. I can’t go along with some of his personal views, he is believer in CAGW, but his science as far as the oceans, currents and snarks (his term) is good. Hubris at the power of three! Humility is of the order! Several thousand tonnes of Saharan dust blows into the Amazon Basin each year and carries with it much needed minerals. Some must fall into the Atlantic enroute. To try sequestering CO2 using this, or any, method is madness. Atmospheric CO2 is needed for plant/crop growth. The more the better and extra food to feed the world’s hungry. Part 1: Should we add iron to the sea to help reduce greenhouse gases in the air? Part 2: Will Ocean Iron Fertilization Work? Part 3: What Are the Possible Side Effects? One thing very obvious in this discussion was the amount of money that could be earned through carbon credits. Once again another example of the continuing corruption of science in that a procedure with completely unknown consequences was being seriously considered on the basis of a very artificial, publicly funded pile of money that could be wrought out of the long suffering taxpayer, again ! “In certain regions, including the equatorial and north Pacific and the entire Southern Ocean, a simple iron addition does cause phytoplankton to grow rapidly. But tiny zooplankton, known as “grazers,” eat much of the bloom almost as soon as it starts. This begins a chain of recycling that ensues from the sea surface to the seafloor as grazers, krill, fish, whales, and decomposers feed upon each other. Much of the immense carbon prize won by the iron addition quickly leaks back into the atmosphere as carbon dioxide gas”. “So far, only three of 12 iron addition experiments have been able to show conclusively that any sequestration happened at all, according to Philip Boyd of the New Zealand National Institute of Water and Atmospheric Research. Perhaps more worrying to an investor, those sequestration numbers were low—about 1,000 tons of carbon per ton of iron added, as opposed to the 30,000 to 110,000 suggested by laboratory experiments”. Typical speech recognition or computer lexicon autocorrection error. The Levenshtein distance between requested and sequestered is small. Not a typo a human would make. We may not need to remove CO2 from the atmosphere, but it nice to know that this method will work if we have to. A couple of posters have asked how much carbon was removed. The estimate in the paper (paywalled, and not in the public abstract) was 13,000 tonnes of carbon removed per tonne of iron added, with an uncertainty of +/- 1,000. The authors think this estimate conservative – that is, the true amount was probably more. To give a very rough sense of scale, a large bulk carrier holds 200,000 tonnes of ore; if this experiment could be scaled up effectively, that much iron might sequester a couple of gigatonnes of carbon. Current global emissions are about 9 Gt annually. The significance of the paper is that, if we ever do need to sequester vast amounts of carbon, this looks like a realistic and relatively cheap way to do it. (Most carbon capture schemes are neither.) How the iron could actually be spread around, and what the side effects might be, are other questions altogether. The whole experiment begs the real question: if such small changes to ocean inputs can have such large effects, what inadvertant changes is industrial civilisation making to the ocean’s ability to sequester CO2? We are adding huge quantities of silica, pouring out agricultural run-off so nutrient-rich it is causing eutrophication, and our oil and surfactant spills coat the entire world ocean’s surface every fortnight. As I understand the process, our silica enrichment is causing the oceans to tip towards the opal phase as diatoms outcompete the calcium carbonate shelled phytoplankton. One might expect that the carbon pull-down of a silica shelled plant is less than those whose carbonate shells will sink to the botton before dissolving. There was a volcanic eruption off Alaska which led to a glut of salmon without much sign of carbon pull-down which might be worth looking at. Diatoms are less rejective of heavy carbon atoms. They will pull down less C overall but relatively more heavy C, leaving more CO2 in the air but it will be slightly lighter than expected. Does this sound familiar? Question: is the fact that the light carbon signal starts slowly in about 1750 and then increases markedly in about 1850 attributable to anthropogenic disturbance via agriculture? Couldn’t care less about carbon sequestrtion, but I’ve always wondered if iron fertilization could be used to boost the productivity of various fisheries? More plankton means more fish that feed on plankton, which in turn means more fish that feed on plankton feeders, and on up the food chain. Ah, so if one wanted to produce extra biomass not sequestered to expand the basis of the marine food chain and thus fish populations in an area (if carried out on a large enough sustained scale), one could select the type eaten more by zooplankton. Outside of CAGW dogma, sequestering CO2 with carbon lost to the ocean floor, taking the main element of life out of the active biosphere for a long time, and reducing terrestrial plant growth is not itself of net benefit. However, the potential of iron fertilization in the right locations to provide an astronomical biomass payback in fish food, orders of magnitude more than the mass of iron or iron sulphate, is very interesting. As prior comments here have suggested, iron may result in 1000 to 13000+ times its own mass in carbon sequestered in field experiments if aiming for carbon sequesterization (compared to 30000 to 110000 times in lab experiments), but, if instead aiming not for sequesterization and rather seeking biomass eaten by more fish, the ratio presumably could be still higher in total biomass produced. With the partial exception of expanding aquaculture, we tend to be locked in a mindset towards the oceans which is like what pre-agriculture stone age tribesmen had towards land: acting as hunters and gatherers of pre-existing food rather than thinking of how to increase the food supply. The idea of a nation deliberately increasing the primary productivity of an area of the oceans on large scale may seem alien and unlikely now, especially with how many “environmentalists” would mindlessly always oppose such as a matter of pseudoreligious dogma and assumptions. (For instance, a claim that any usage of such must produce harmfully extreme algae blooms would be as much an extreme strawman as claiming farmers can not conceivably ever benefit from ammonia-based fertilizer application because submerging a houseplant in a ton of concentrated ammonia is harmful). Yet not necessarily every last nation may rule it out in future decades (perhaps multiple possibilities in Asia for instance? ), depending on how the specific numbers would work out economically for getting more fish and perhaps even indirectly lowering the cost of fish per kilogram at grocery stores in benefit to consumers. Did you ever wonder about what actually happens to whale poo? I didn’t think so! So….natural gas is a “natural” renewable resource. Like trees and wind farms. What else goes down with the diatoms to the bottom of the ocean? Silicates, Carbonates, phosphates… could it possible to deplete the oceans enough to affect other species that need those chemicals to grow? Here’s the big picture: During warm interglacial periods (present day conditions), fresh water from melted glaciers dilutes the oceans making them relatively nutrient poor. The deepest waters with the longest residence times are the richest in dissolved nutrients. Wherever winds or currents bring them to the surface (coastal Chile & Antarctica for example) phytoplankton blooms stimulate the entire food chain from sardines to bluefin tuna to whales. During glacial periods, water is removed from the oceans and sequestered on land as ice. As sea levels fall, the relative nutrient levels of the oceans dramatically increase, and upwelling massively stimulates the food chain. An example is the Eocene-Oligocene glacial period that occurred ~36 to 37 mya. During this period, marine life was so abundant that calcium phosphate nodules formed in shallow sediments worldwide from the massive amounts of fish scales, bones, and teeth. It’s no coincidence that whales made their transition from land to sea during this time, and sharks that fed on them grew to the size of school buses. The oceans experienced one of the most prolific and productive times in geologic history. There is no reason we can’t do this today on a smaller scale. Harold Pierce Jr. is correct when he says: A farmer adds seeds and fertilizers to grow crops in soil. This is a similar system, the objective of which is to enhance growth of fish. Fertilizing the oceans offers tremendous benefits and few downsides (with massive unintended algae blooms being the main one), and experimentation will allow us to figure out how to do this properly. Much more research needs to be done in this area. We would be foolish not to take advantage of rising CO2 levels and the availability of cheap iron to stimulate the food chain of our oceans. Reverse that. How much CO2 is used to mine, smelt and transport that iron vs how much CO2 was sequestered at the bottom of the ocean and not gobbled up by the local fish. I do not think the economics are there unless you are also harvesting and eating the fish. …Ah, so if one wanted to produce extra biomass not sequestered to expand the basis of the marine food chain and thus fish populations in an area (if carried out on a large enough sustained scale), one could select the type eaten more by zooplankton….. The idea of a nation deliberately increasing the primary productivity of an area of the oceans on large scale may seem alien and unlikely now…. Don’t tell that to the Japanese. Weren’t the abiotic oil experiments done with calcium carbonate and iron? It is an interesting concept, but there are so many variables involved (does the carbon that sinks truly become geologically sequestered, or simply re-released through anaerobic bacterial metabolism?) that I think the technique is fairly useless. If they want to grow algae, drag the stuff onto land, extract the lipids, proteins & phytochemicals and make some money off the biomass. I’m sure you could get that quite easily from one of the Evil Big Oil Companies, because petroleum is what all those plant lipids turn into after they’ve stewed for a million years or so under buried seabeds at high pressure and temperature. So how much carbon is sequestered as a result of the dissolving of iron sands off Muriwai Beach abd other West coast iron sand beaches in New Zealand. And does it register in anyone’s mind just how low the solubility of silica is in water. Well I know that they do grow single crystal SiO2 from hot water solutions in high pressure vessels; but I never really considered silica to be among the most soluble materials. Well you ought to see what DI water can do to glass surfaces; but then it doesn’t remain as DI water for very long. Iron powder typically will rust before it ever hits the bottom of the flask, if you drop some ionto pure water. 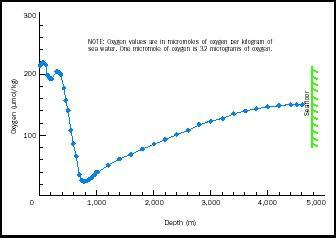 More important than the carbon, is can we fertilise the oceans in this manner and increase the production of fish? What feeds of these diatoms, and can we increase food production?? Agreeing with further checkingout the fishfarm angle. One problem with the fishfarm angle: During the first week of their life codfish are so tiny they can be eaten by the very plankton they later feast upon. Therefore you have to be very sensitive to which population is getting the boost, and when. … I was intergued by the diatoms and wounder what the conditions were in the Pre Cambrian what most of the world iron ore resources were form. Thereafter, phytoplankton aggregates formed and sank within a few days to depths of 3,700 metres. Long spines of these diatoms and mucous substances led to aggregate formation and export of the fixed carbon from the surface to the sea floor. This process was monitored for five weeks after the start of fertilisation. The deep sea floor is dominated by echinoderms, sea-cucumbers, brittle-stars and sea urchins. Although they are very thinly spread, the deep ocean floor is so vast, that these are amongst the most numerous animals on the planet. “This video shows a series of time-lapse still images of animals on the deep seafloor. The images were taken at one-hour intervals over a period of about three months in spring 2007. These images were taken at “Station M,” a long-term research site about 4,000 meters below the surface and 220 kilometers west of Point Conception, on the Central California Coast. Below the seafloor, an unknown but potentially vast biosphere of microbes may be making the methane that percolates upward. When it comes to the sea, why must we have models all the way down, considering we have such an abundance of actual knowledge? Re the tons of iron and the ‘payback’. I seem to recall the first experiment done many years ago no this said it was a factor of more than 4000. As there is some hint that the local chemical environment plays a large role in this, perhaps one can say >1000 with confidence. It takes a lot of hydrocarbons to make elemental iron, Crispin. -Principles of Modern Chemistry, 4th Ed. Ch. 20 (Chemical Processes for the Recovery of Pure Substances), Oxtoby, Gillis Nachtrieb. Methane – – – 50.1 kJ per gram <— that's upgraded, not degraded. The physical evidence, but not the models that go all the way down, show that sedimentary sequestration is a fantasy. Wow, now dumping huge quantities of iron sulphite into the ocean is considered environmentally friendly? So I guess we’ll have to open new iron mines to provide the iron necessary to save the planet. I suppose iron mining might even be considered green jobs, mountaintop removal is now considered green. What has happened to my beloved environmenal movement? This is the movement that I was a proud member of since about 1970. This could be the stupidest idea the movement has ever invented. Thank god I’m not an environmentalist anymore. I’m not wearing this one, modern greenies can wear it if they want. Good luck to them.